Nearly called this “13 Inches of Magic”, but that just…. didn’t sound right. 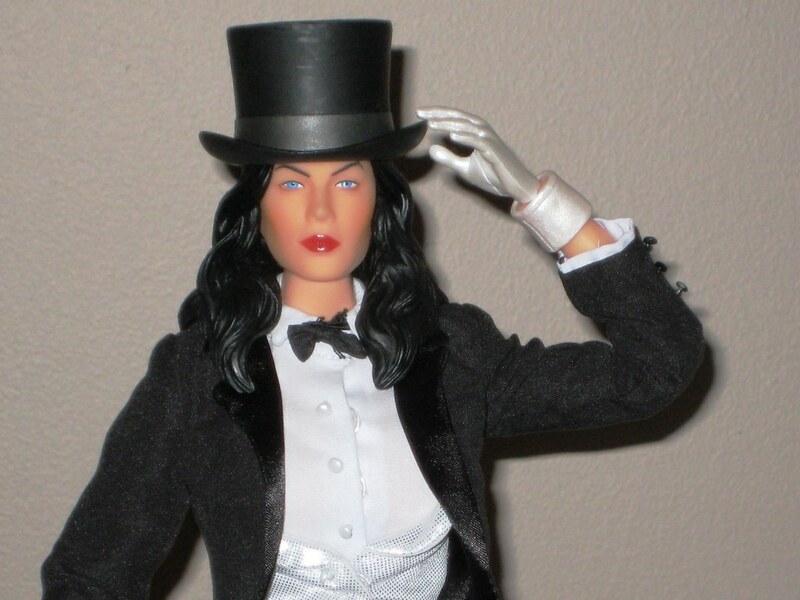 After the debacle that was the 13” Wonder Wompus – er, Woman, I was very concerned when I went to pick up my pre-ordered DC Direct 13” Zatanna from my LCS today. The good news is that, while they seem to have used the same material that was used for Wondy’s headsculpt, which seems to differ from the rest of the line, it works much better here. The differences between the photos in the packaging and the final product are still very clear – the eyes in particular are painted very differently, but the overall composition of the face in the sculpt is better, giving it a very reasonable likeness to “Zee”, as we know her. DCD was always going to struggle with Wonder Woman, due to the fact that her costume (or lack thereof) exposes all of the inherent weaknesses of the female 13” buck. Zatanna is a step ahead in that her costume covers most of these up – however the awful, awful pelvis / hip joins are still on full display. Any character with a brief-style costume falls short here, with the end result being an adult-diaper look that is less than attractive. It also causes the legs to looks scrawny and bowed. Ugly, fugly. 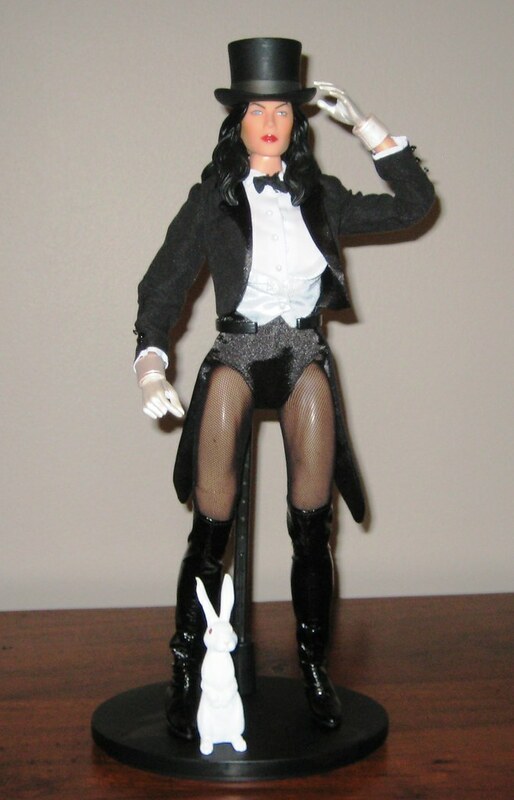 Thankfully, Zatanna still has a good deal going for her. Her costume is well constructed, and her top hat provides a few display options. It fits nicely in her head but can also be held in one of her three sets of swappable hands. Interestingly, these three sets (fists, open / snapping fingers and hands that can hold objects) are all white gloved, unlike the flesh coloured hands shown in the packaging photos. One set of those would have been a nice option to include, but Zee still scores well in the accessories department. 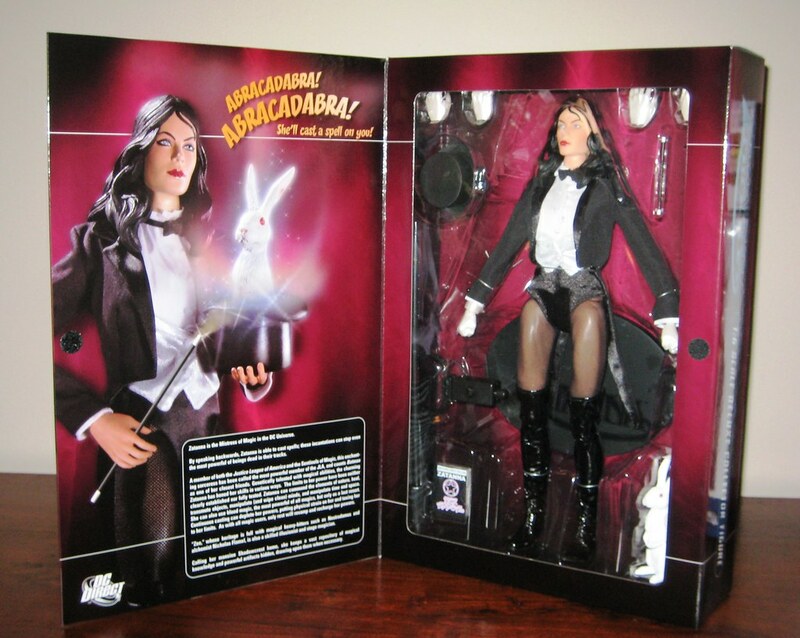 As well as the hat and extra hands, she comes with a magic wand (which looks dreadfully lose-able, so I’m not even bothering with it), a white rabbit (which comfortably fits in her hat, although it’s too heavy for her to hold as she does in the packaging pics) and a copy of her book. Good stuff. This is a welcome addition to the DCD 1:6 Scale Line, although without an apology Wonder Woman it will never be complete. I do hope at the very least DCD addresses the headsculpt material issue and rectifies this – with the frailties of the female buck design, what’s on top has alot to make up for! You can see more pics at Facebook, discuss this at the AFB Forum, and comment on this post to enter the November AFB Comment of the Month Contest! That's a nice come back from WW, but then a polished turd would be too. Z's facial sculpt is really nice and aside from the nappy/diaper she's a great addition to the line. There's a benefit to the diaper look if only you can get them in the hands of the kids that want the pooping/peeing/crying dolls. 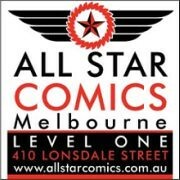 That should be their target audience. at least she shows that dcu at least tried to learn from the mistakes with wonder woman. and love how she comes with a wand and her spell book and hat. may have to try and buy her even though i do not collect the 13 inch line. The accessories look great, but the pelvis/hip part is awful. i'm not too keen on the face either..
Perhaps some things are better kept Secret…. Like I needed another line to collect…. The Seven Seas goes Bust! Will Blackest Night save DC Direct’s Bacon? AFB Comment of the Month Contest – November!